Do you need cash for overdue bills? Maybe you think you don’t have the credit or assets to get a loan. If you have a motorcycle, Phoenix Title Loans has a solution for you! You are just one phone call away from setting up your own path to cash relief. Owning a motorcycle can be your ticket to positive financial solutions. Here at Phoenix Title Loans in Casa Grande, we store your equitable property in our well-secured facility until you pay off the loan! With our 60 days no-payment policy, you have two months to turn in your first payment. We understand how much extra time to pay can mean to someone on a budget. It’s important to understand that you’re dealing with true professionals. Phoenix Title Loans has been the premier title loan lender in Eloy, Maricopa, and Casa Grande and have secured title loans on thousands of motorcycles during our time there. The most important piece of the puzzle, the appraisal, is where we make sure to train our associates the most. 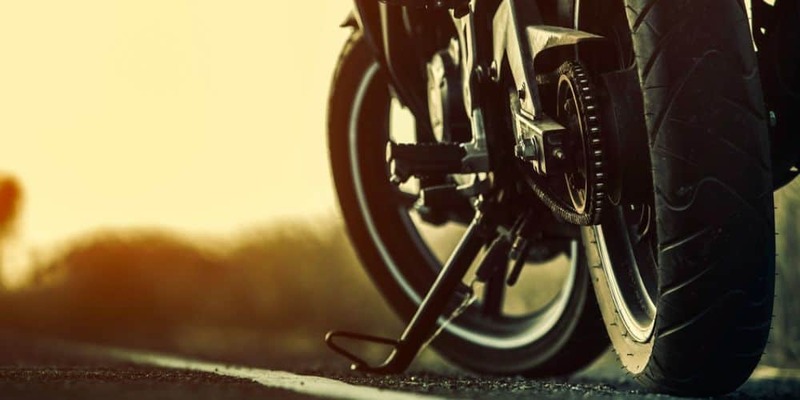 What dictates your ability to get the maximum amount of cash is what we think it’s worth, and sometimes people can miss things like your bike being in excellent cosmetic shape, or being in excellent running condition, whereas at Phoenix Title Loans we simply won’t. Our valuation process has more to do with just the wear and tear on your bike. To this end, we can also look at other metrics that we don’t use to qualify, but can use to lower your interest rate or increase the amount we’re able to loan you. While we don’t check credit or your income during the process, we can consider these metrics if you’re looking for more extenuating loan amounts in order to get you the last little bit there. We offer customers low-interest rates. How can we do that? We put the choice in your hands. If you take less than half of the quoted cash loan, we accommodate with lower interest. If that isn’t an option, we’ll work with you to lower your cost. If you’re looking to get the fast cash you need, then we have many different ways for you to reach out to us. You can use our live chat down below, you can call us, you can even just e-mail us or use our online application! We’re available seven days a week as well meaning you can get fast cash literally whenever you need it. So reach out to us today and get your fast cash. We’re proud to serve the areas of Eloy, Maricopa City, and Casa Grande with our motorcycle title loan services and are ready to get you the cash you need and deserve today. Our professional staff is glad to accept many different types of motorcycles. At Phoenix Title Loans, we strive to offer options to customers in any financial bracket. If your motorcycle brand isn’t on the list, bring it in any way. The list below isn’t all-inclusive, we take many more types! Phoenix Title Loans doesn’t only provide loans for motorcycles. We accept scooters, dirt bikes, and even boats! Can your assets bring you the financial help you need? We say yes! Title loans are great for balancing your bank account, but what if you just need some cash to soup up your best bike? For motorcycle enthusiasts, stock parts and a little custom maintenance can make any bike rev like a champ. If you need to upgrade your pride and joy, we team up with Evil Twin Custom Cycle to give you access to custom improvements for your bike. Increase your investment potential when you put cash into the motorcycles you love. Steering towards financial success is made easy with Phoenix Title Loans. Make our trusted title loan company your first stop on your road trip towards cash security. We’ll give your wallet a much-needed tune-up and help your assets do all the work for you. Contact us today or stop in at any one of our Valley locations in Arizona. Let us help you ride your way towards extra cash-in-hand!